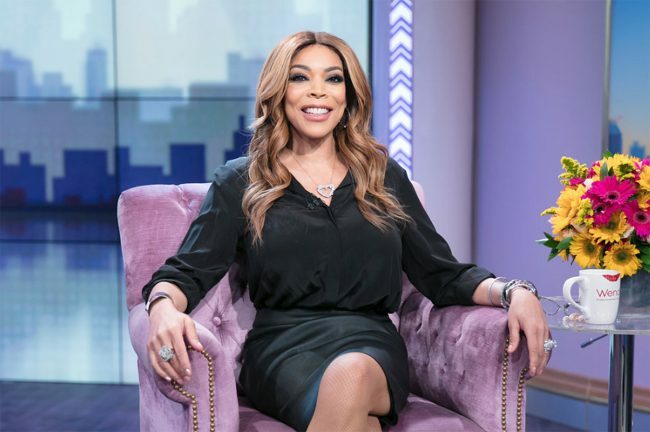 On April 15, 2019, Wendy Williams announced to the audience of her talk show “The Wendy Williams Show” all about her weekend. Williams said that she had a great weekend, and spent it with her girls. She stressed she has sober friends. Six friends are she is very close to, and two of them are her sponsors. Williams who is 54-years-old recently filed for divorce from her husband of 21 years Kevin Hunter. She said during her time off from work; she spent some time with her sister who has always been there in her life to help through any difficulties she was going through. The audience clapped and cheered for her. Williams then shocked everybody in the audience by telling them in a few days she would be moving out of her sober living house where she was residing in Queens, New York. She smiled as she said this and the audience cheered. Williams told the audience that she would be out in the world on her own. She continued to say that everybody knew she was dealing with her addiction issues, which was alcoholism. She now has a new life ahead of her for herself and her son. The talk show host then discussed the sober living house. She said she stayed in a room with gray walls and no television all day. She then would think to herself that this was her life. She said it was one of the best things she could have done, and the best thing that could have happened to her. One begins to think about their life and how one is being delivered to the world. At the run-down sober living house in Long Island City, New York, Williams had access to addiction classes, Cognitive therapy, psychiatric help, and mediation services. On her show on April 15, she said she would be sharing her journey with sobriety, in the hopes to help others who were struggling. She told the audience that she had a commitment to herself and son to be better, stronger and faster.